Motorcycle makers and federal highway-safety regulators are taking a harder look at whether advanced safety technology can help reduce fatal accidents and injuries for those who ride. Manufacturers, at the urging of federal safety officials, are moving to make antilock brakes available on more models. 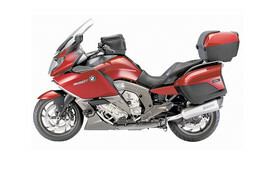 BMW AG is making the feature standard on all models as of the 2012 model year. At the same time, the government and industry are moving ahead with new studies of whether antilock brakes, which can help a rider stay upright during a hard stop, can reduce motorcycle fatalities. 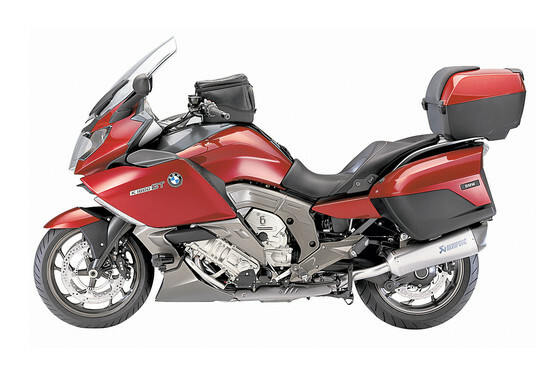 BMW BMW is making antilock brakes standard on all of its motorcycles, such as this K 1600 GT model. Unlike auto makers and drivers, the motorcycle industry and riders have been relatively slow to embrace safety technology. Thirty years ago, car manufacturers fought safety requirements and most drivers didn’t bother using their seat belts. Now, auto makers compete to offer the latest crash-survival and avoidance technology and more than 80% of motorists buckle up—even if only to avoid getting a ticket. TARPON SPRINGS, Florida – Two families in a Pinellas County neighborhood have been evacuated after large sinkholes caused a home to cave in. Anitra Merricks says her family watched the ground open up, starting about 6 p.m. Thursday. As family members quickly moved their cars, another hole formed. Officials say the house, built in 1958, is too unsafe for Merricks’ grandparents to stay in. Merricks says 83-year-old Virginia Crawford and 90-year-old Nathaniel Crawford, will have to find a new home. They had lived there for 50 years. The Red Cross is helping relocate the family. The house next door was also evacuated, due to the sinkhole. Just before noon Friday, officials say crews were able to fill the sinkhole and secured all utility lines. Engineers will evaluate the situation later in the afternoon and report on a possible cause of the sinkholes and their recommendations. For more on this article visit. If you feel that your property might be in threat of a sinkhole please contact a sinkhole tampa attorney today at 813-931-0840. Florida’s Move Over Law. Move over, or get cited! In recent news, the Department of Highway Safety and Motor Vehicles hosted a Move Over Law Workshop to focus on new strategies and methods to educate the motoring public about the law and to plan enforcement initiatives to ensure compliance. Florida’s Move Over Law is almost six years old, but there are still too many motorists who are unaware of the law or simply choose not to comply with the law. Risks of violating this law are too great to ignore! Research shows, motorists in Florida crashed into working law enforcement vehicles that were either stopped or parked along Florida roadways 1,793 times, resulting in five deaths and 419 injuries. “We have too many first responders who are getting hit or even killed. It’s time for all agencies and first responders to come together and work to educate the motoring public. Our goal is to find effective opportunities to spread the word. We must find new ways to work to protect everyone on Florida’s roads and highways.” said Colonel John Czernis, Director of the Florida Highway Patrol. The Move Over Law, which passed during the 2002 session, requires all motorists approaching an emergency vehicle with lights flashing to change lanes away from the emergency vehicle if traveling on a multi-lane roadway and if able to do so safely. What happens if I do not comply with the Move Over Law? Florida law enforcement officers are serious about enforcement of the Move Over Law! Compliance with the law helps ensure their safety and a safer driving experience for everyone traveling in our state. Please comply with the law to help protect those who protect us on our roadways in Florida. * Violators of the Move Over Law will be issued a citation! Protects law enforcement officers, emergency workers and tow truck drivers stopped along roadways while performing their job. Motorists are required to: change lanes away from emergency vehicle, slow down while maintaining a safe speed of 20 mph below posted speed limit being careful not to impede or block the flow of traffic unless directed from law enforcement officer. 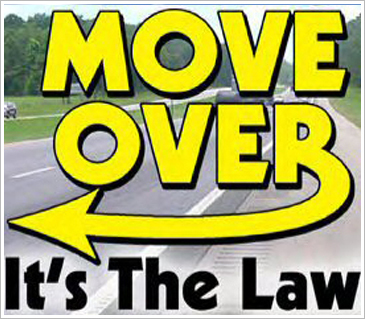 For more information please visit: www.flhsmv.gov/fhp or for further questions about ways to abide by the Florida Move Over Law and prevent any incidents regarding violation of Law, please call Blick Law Firm at 813-931-0840 today. The word bankruptcy may come as a bit of a heavy. There is a common misconception that once you file for bankruptcy it takes years to build back your credit. While a bankruptcy will remain on your credit report for many years, you can rebuild your credit again! Bankruptcy is not a decision to take lightly and if you feel the burden from financial pressure and debt, bankruptcy may be your only relief. In life sometimes you must go back in order to move forward. Although filing for bankruptcy will be reflected on your credit report for seven to 10 years, this does not mean that you can’t rebuild your credit immediately upon filing and your case is completed. In some instances after filing bankruptcy creditors may regard you as a better credit risk due to the fact that your debt has been illuminated. Paying and remaining current on your monthly bills. Pay off balances in a timely and efficient manner. There are many ways to build your credit after filing for personal bankruptcy. Ask your Tampa Bankruptcy attorney today at Blick Law Firm! Call us if you have any concerns or questions regarding your financial situations and how we can assist you recovering from debt. Beaches, beer and barbecues! Summer is official. For most of us we migrate towards the beach on our days off or lounge by the pool before it gets too hot to walk outside. Right now is the perfect weather to be outdoors and soak up some sun! At Blick Law firm, we strive to promote safety. Here are five ways to get into gear this summer so that you may enjoy this season – out of harms way! 1) Drinking. The summer calls for some great nighttime cook outs and hanging out in the back yard. If you are of age it is typical to drink during summer occasions and outings, so use common sense and precaution when planning your nights out. Make the safe choice not to drink and drive! Have a designated driver planned or get a taxi service number and program it into your phone now before it is too late. Blick works with Tampa Bay’s Cab Plus services. 813-288-888. Let them know Blick sent you to get the best service for a safe night on the town. 2) Bar hopping? Have a favorite bar you like to hang out at? Research and ask them how they will accommodate or assist you if you have had too much to drink. You never know, until you ask. 3) Car pool it to the beach! Hanging out at Caddy’s or Shepard’s for the day… or just want a quiet get away? Check out the local bus routes and use that as your form of transportation. It is a safer method, it will help cut down traffic time and you are helping the environment. Win, win, win! 4) Road trip or mini vacation? A critical way to be a defensive driver is to get your car or bike inspected. Make sure you check your tires, brakes and windshield wipers. Be prepared for any amount of traveling and plan for all types of Florida weather conditions because you know it is unpredictable. 5) Theme parks = tourist hot spots. Parks this time of year may not only be overcrowded and hot, but incidents may likely occur. Make sure you are aware of safety guidelines and emergency units on location. Take initiative for your family’s safety and research the parks protocol on inspections. Also, always choose a reuniting check point in order to prevent from losing your loved ones. And lastly, follow your gut. If it does not look safe, do not go on it. Take these steps to plan a safe summer for you and your loved ones. If for whatever reason you find yourself in a state of emergency, call 911 first if injuries are severe. If you need further assistance or guidance call Blick Law Firm at 813-931-0840. We are your local Tampa personal injury attorney here to help the hurting and any other legal needs you may have. Think quick, call Blick!